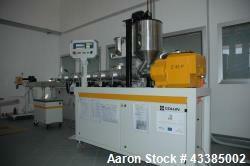 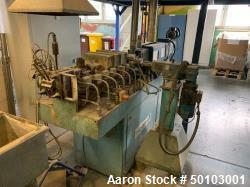 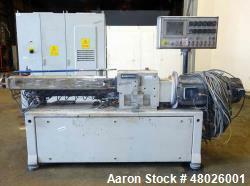 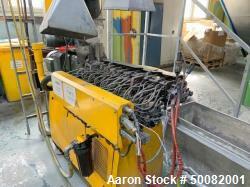 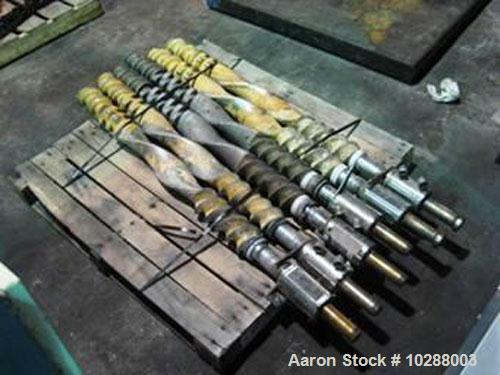 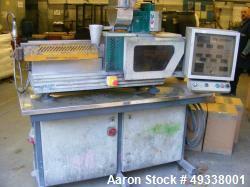 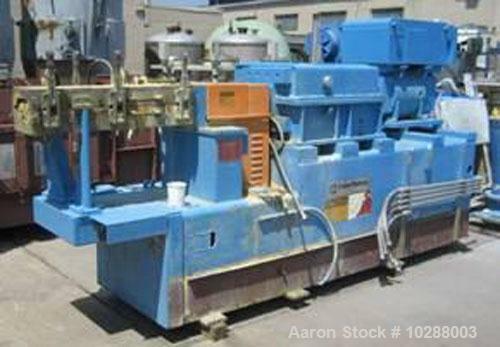 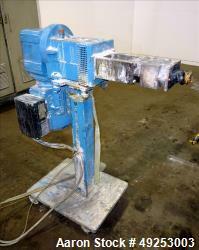 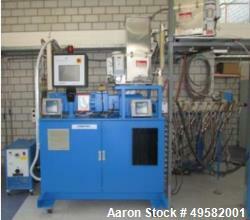 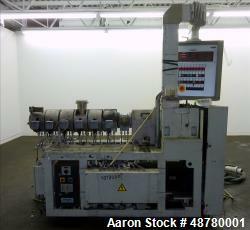 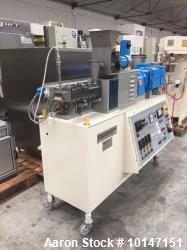 Used-Baker Perkins 100 mm twin screw compounding extruder. 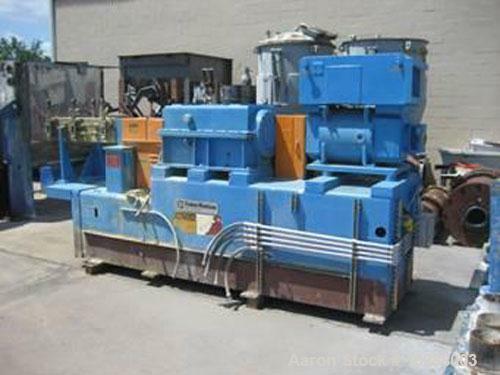 Segmented twin screws. 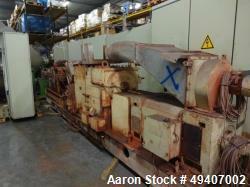 50 hp DC Siemens Allis main drive motor. 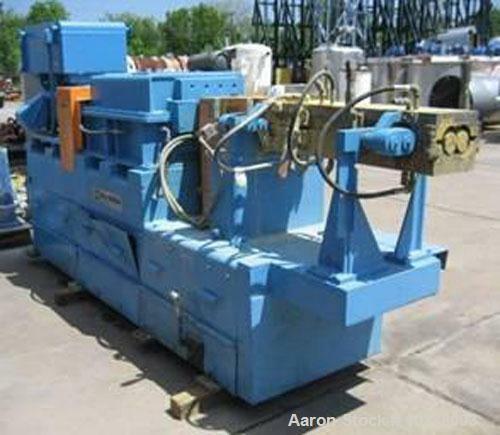 Barrel is 40" long, clamshell type, jacketed. 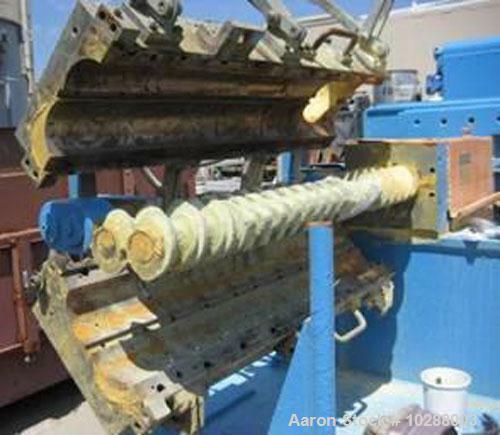 Barrel lining has been removed and is not available. 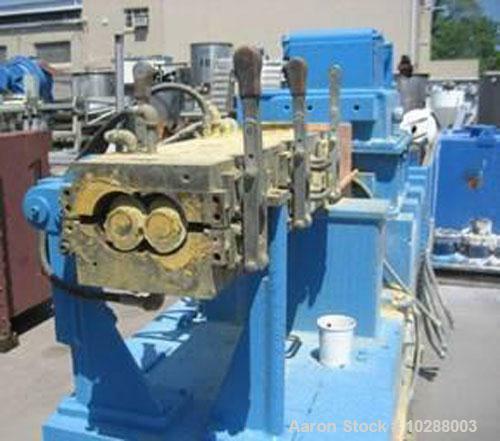 A pallet of spare screws is included. 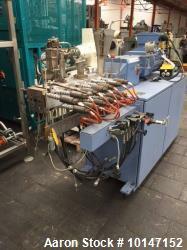 Screws are cored and fitted with rotary unions for cooling. 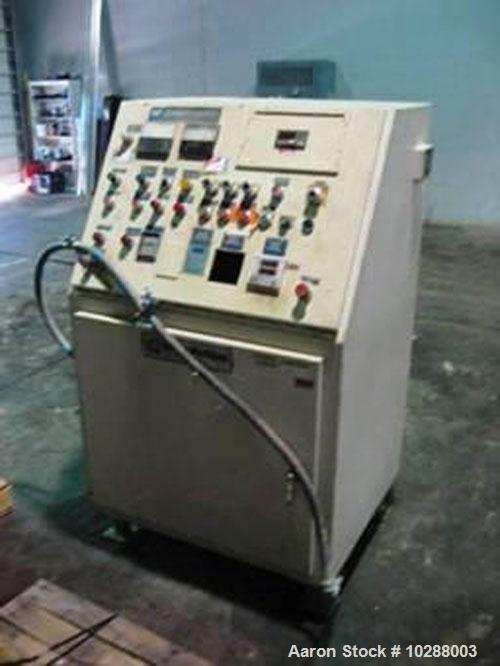 Equipped with a control panel.